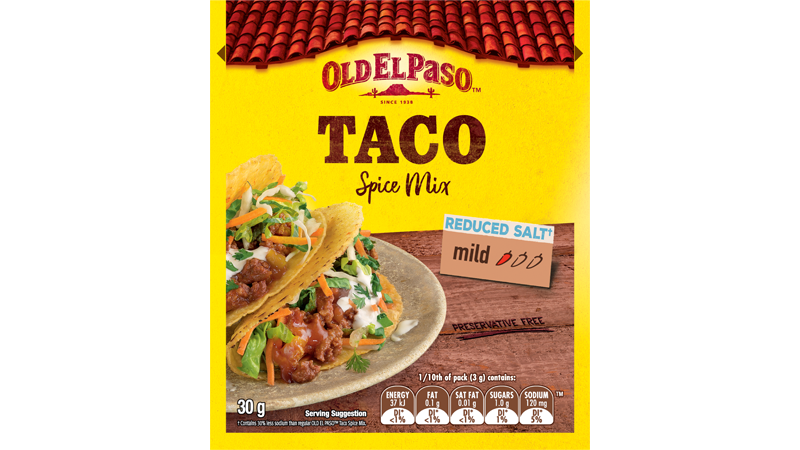 This Old El Paso™ recipe makes 6 wholegrain burritos with seared chicken using our Salt Reduced Taco Spice Mix and Wholegrain Tortillas. Quinoa salad and flavourful ingredients like red capsicum, spring onions and avocado make this a Mexican meal worth cooking up. Toss chicken in Taco Spice Mix to coat. Spray a non-stick pan lightly with olive oil spray. Cook chicken over a medium heat until cooked and golden brown. Remove from pan, cover and allow to rest before slicing thinly. Heat olive oil in a saucepan over medium heat, add the capsicum and cook for a few minutes or until softened. Add the quinoa and water and bring to the boil. Cover and simmer over low heat for 15 minutes. Allow to cool for 10 minutes. Combine quinoa with cucumber, spring onions, herbs and chickpeas. Dress with orange juice and season with salt & pepper. 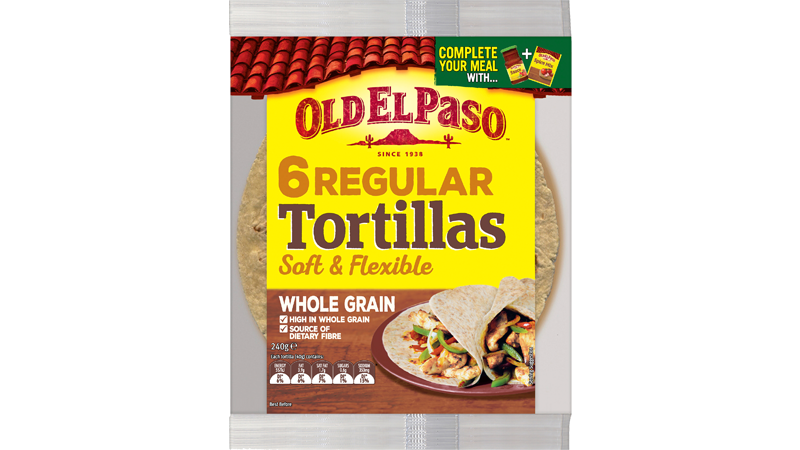 For warm and soft Tortillas - open Tortilla pouch, throw away freshness sachet. Microwave Tortillas in pouch on HIGH/1100 watts/100% power for 35 seconds or remove from pouch, wrap in foil and heat in oven 180˚C conventional (160˚C fan forced) for 10 minutes. *Times may vary depending on microwave wattage. Decrease time for fewer Tortillas. Increase time when using a microwave oven lower than 1100 watts. 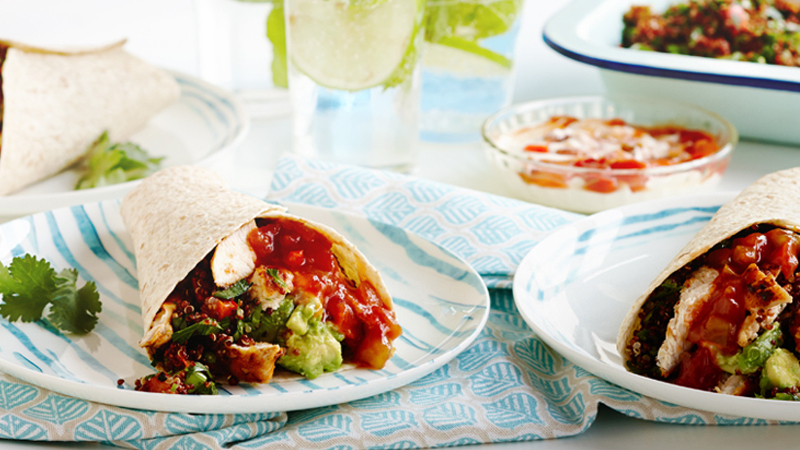 Fill the centre of your Tortillas with avocado and top with quinoa salad and chicken. Fold to create a deliciously healthy and hearty Burrito.